I have good reason not to trust active volcanoes. I hiked up one last year in the Philippines. I got close to the top of Mayon Volcano but didn’t go all the way, content to just see the smoke billowing from the summit—and maybe that was wise. A few weeks later I read a story in the news back home: 5 Germans and a Filipino guide had died on that very volcano as a result of a surprise eruption. 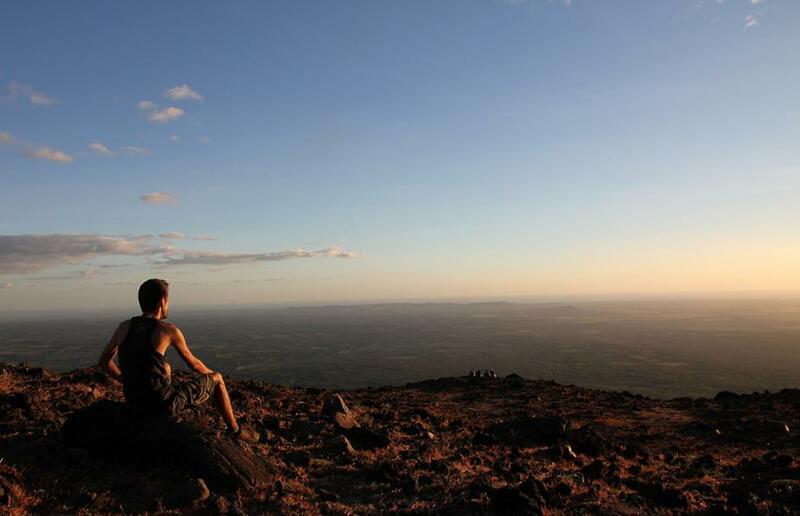 Flash forward to the present time in Nicaragua, and you can perhaps understand my apprehension about climbing an active volcano again… only this time to the very top. Still, it’s hard to resist the opportunity. Telica Volcano spewed ash 50 meters up a few months ago, but other than that it’s been mostly quiet and safe to climb. Apparently. The hike up to the base of the crater takes about four hours. Before we set off, our guide warned us to keep our eyes out for snakes. Sure enough, someone in our group soon encountered a big rattlesnake. When our guide saw a picture of it, he casually told us to avoid them as its venom will kill a human within 5 minutes. Near the top we enjoyed a stunning sunset. Apart from one brave lone tree, it’s just dust and rocks up here. 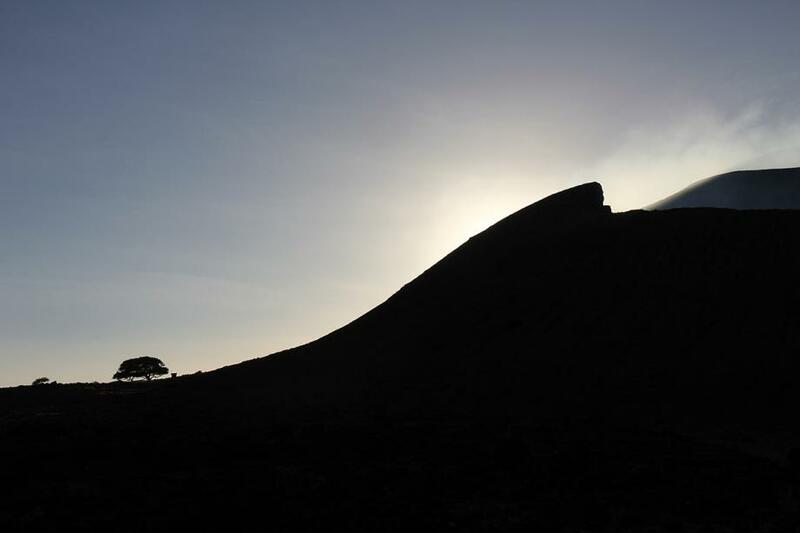 When it was close to dusk, we began the final ascent up the crater itself. 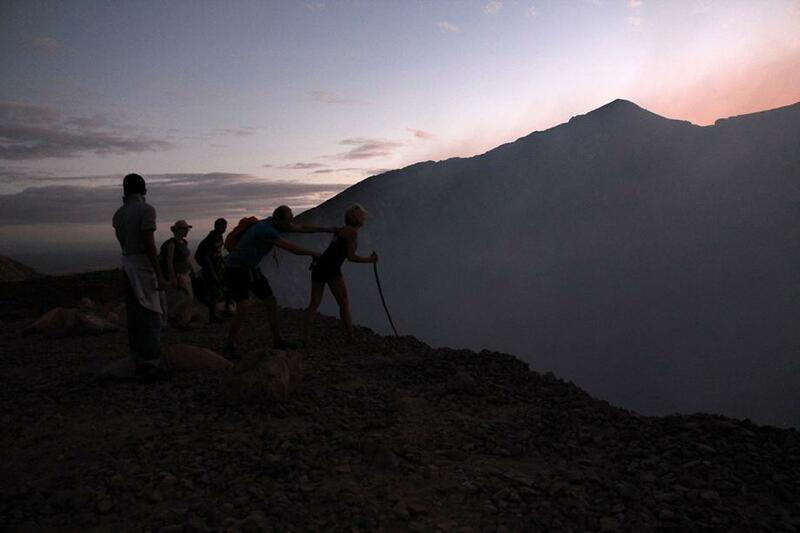 As we neared the summit I could begin to smell the sulphur in the air. I thought I heard an aeroplane approaching and looked up to the sky to see where it was… but realized I had been fooled. 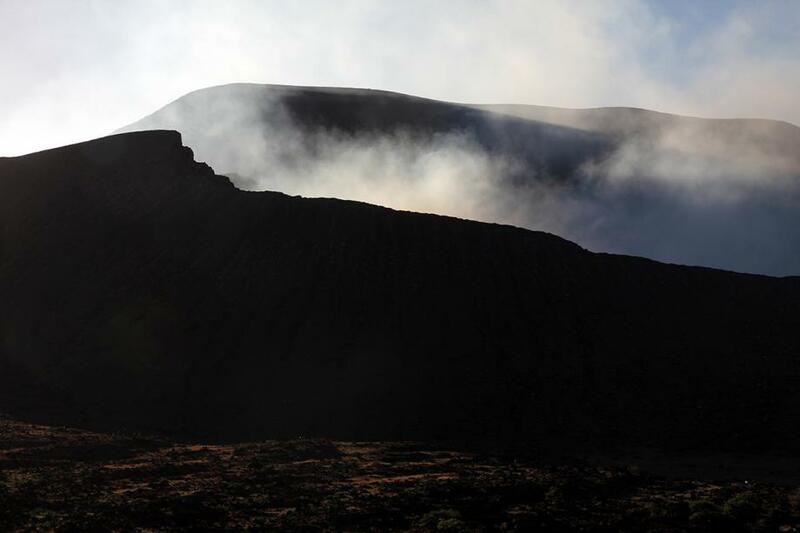 This wasn’t the sound of a jet engine, but the volcano itself! As we got even closer to the top, the noise grew louder and louder… and kinda creepy too, like the roar of an angry God. Finally peeking over the rim of the crater sure gets your blood pumping: it’s an immediate 120-meter drop down to the core. As I stuck your head out over the edge I could actually feel the fumes from down below. And yes, at the bottom was the glowing lava I had come to see. We enjoyed the view for another half hour or so. We then made our way back down the mountain in the dark, above us a beautiful sky completely filled with stars. We were stopped in our tracks once more by another deadly rattlesnake. Then we encountered a small scorpion—and if “small” sounds reassuring, it’s actually the smaller ones that are the most dangerous. 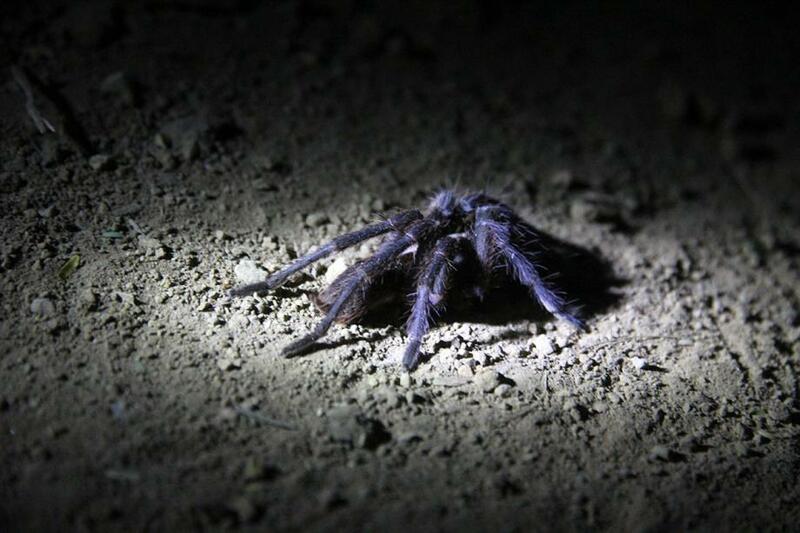 If that wasn’t enough, we also passed three different tarantulas. Exhausted but satisfied, we made it back to our pick-up point at the base of the mountain. 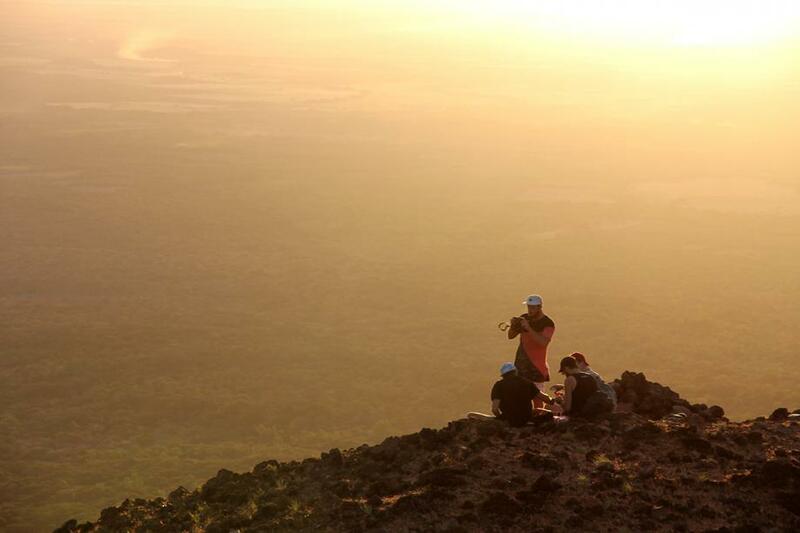 If you want to go climb Telica Volcano, you can easily book a tour in the city of Leon. The popular Big Foot hostel will take you there for $50 per person, though other agencies do it for $40. 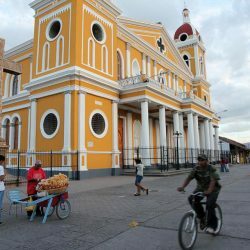 (I was told the actual local cost of the driver and guide is about $15 per person, so margins are huge and you may be able to bargain successfully). Rest assured the guide carries a big machete, which hopefully keeps you safe from dangerous animals. If the volcano unexpectedly erupts, my advice is to duck and cover. Those are absolutely beautiful pictures. Thanks for the update!